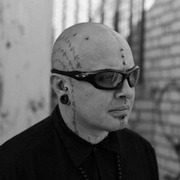 The Chaøs Chrønicles is an ongoing around the world road trip / multimedia project that began in january 2011 with ablog. The first part "US Cøast to Cøast" took us from Las Vegas to New york and was already successfuly funded thanks to Ulule. 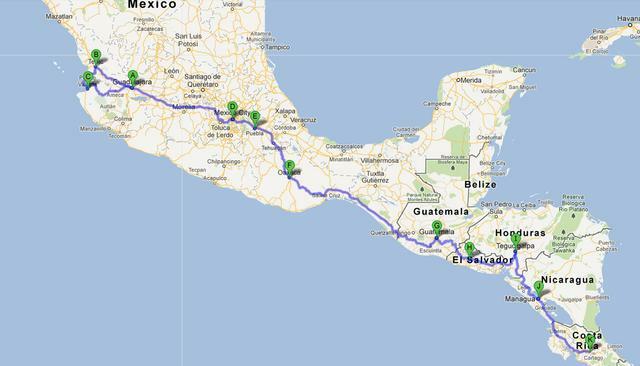 This is the second chapter consisting of a +/- 4000 km (2500 miles) road trip from Guadalajara (Mexico) to San Jose (Costa Rica), going through Guatemala, El Salcador, Honduras & Nicaragua, from August 28 until October 10 - 2012. Consisting of essays, interviews, photography & videos, these chronicles are a series of encounters, philosophical reflection, a vision of the world through activism, counter cultures and avant-gardes. So ... what are the funds for ? Pretty everything we will need during the trip ! We are leaving from Berlin in few hours with nothing really more than our plane tickets which have been payed by two organisation Im working with, one located in Guadalajara (Mexico) the second one in San Jose (Costa Rica), our passport and many contact in the different countries. We are preparing this trip already since few month with the support of the movie director Luc Serrano, production manager Carole Mangold and long time friend of mine, Beto Rea, born in mexico, but have yet to find a production able to give financial support to the project. Our hotel, food and transportation are taking care between Gaudalajara, Tepic, Perto Vallarta & Mexico City as well as in San Jose (Costa Rica). But we need to be able to support ourself, pay transportation and all the different expenses between all thoses places. + A serie of 10 printed Instagram photos. + A set of 20 printed photos Instagram on laminated black cardboard and signed. Postcards, a set of twenty printed and signed Instagram photos and a guest list subscription to all events I will participate in, including non related events with the Chaos Chronicles. An original object obtained during our travels and an invitation to meet in person over a drink or dinner in my home in Avignon or other place when possible. + You are credited as sponsor with the possibility to insert your logo in the final presentation of the project, invitation to meet in person over a drink or dinner in my home in Avignon or other place when possible.